Our product range includes a wide range of Binocular such as Long Range Binoculars 10x50, Night Vision Scope, Thermal Imager Camera, Night-Scout Night Vision Binocular, Binoculars 7x35, Night Vision Binocular DVS_8 and many more items. Clients can also avail from us, impeccable quality of Long Range Binoculars Model-7x35, that are widely used in mountaineering, scientific laboratories, trekking and so on. 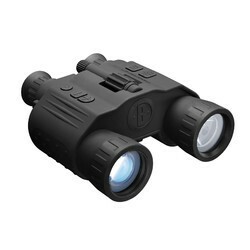 These binoculars are known for its durability, firm grip and brightness. Easy to adjust these binocular models are available in different specifications that perfectly meet the diverse requirements of the clients. 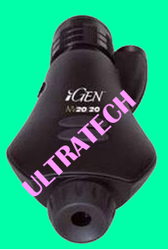 Its unmatched quality and convenient to use feature of these models make the user feel comfort. We Are The Leading Manufacturer And Suppliers For Binoculars In South India Such As Thiruvallur, Chennai, Kancheepuram, Vellore, Thiruvannamalai, Krishnagiri, Dharamapuri, Villipuram, Cuddalore, Salem, Erode, Namakal, Perambalur, Nilgiris, Coimbatore, Tiruppur, Karur, Tiruchchirapalli, Ariyalur, Nagapattinam, Thanjavur, Thiruvarur, Nagapattinam, Pudukkotai, Dindigul, Theni, Madurai, Sivagangai, Ramanathapuram, Virudunagar, Tirunelveli, Thoothukudi, Kanniyakumari, Hosur, Rajapalayam, Puduchcheri, Kerala. 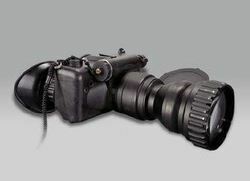 We are instrumental in providing our clients with a perfect quality Long Range Binoculars 10x50. Our provided binocular feature unique lenses to provide a wide-field of view that is greater than normally seen through binoculars of the same magnification.. 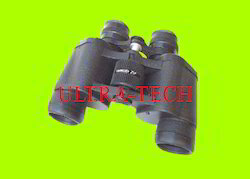 Offered binocular is accessible in varied specifications as per the need of clientele. We test the binocular on several parameters so as to deliver defect free range. 1.High quality all glass, objective and ocular lenses. 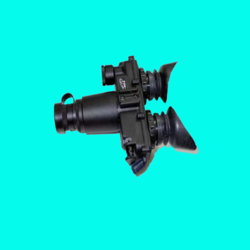 We Are The Leading Manufacturer And Suppliers For Night Vision Binocular NOXB5 In South India Such As Thiruvallur, Chennai, Kancheepuram, Vellore, Thiruvannamalai, Krishnagiri, Dharamapuri, Villipuram, Cuddalore, Salem, Erode, Namakal, Perambalur, Nilgiris, Coimbatore, Tiruppur, Karur, Tiruchchirapalli, Ariyalur, Nagapattinam, Thanjavur, Thiruvarur, Nagapattinam, Pudukkotai, Dindigul, Theni, Madurai, Sivagangai, Ramanathapuram, Virudunagar, Tirunelveli, Thoothukudi, Kanniyakumari, Hosur, Rajapalayam, Puduchcheri, Kerala. 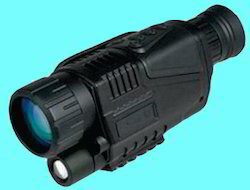 We Are The Leading Manufacturer And Suppliers of Digital Night Vision Monocular In South India Such As Thiruvallur, Chennai, Kancheepuram, Vellore, Thiruvannamalai, Krishnagiri, Dharamapuri, Villipuram, Cuddalore, Salem, Erode, Namakal, Perambalur, Nilgiris, Coimbatore, Tiruppur, Karur, Tiruchchirapalli, Ariyalur, Nagapattinam, Thanjavur, Thiruvarur, Nagapattinam, Pudukkotai, Dindigul, Theni, Madurai, Sivagangai, Ramanathapuram, Virudunagar, Tirunelveli, Thoothukudi, Kanniyakumari, Hosur, Rajapalayam, Puduchcheri, Kerala . NIGHT VISION MONOCULAR D NVM The unique Night Vision Monocular provides exceptional quality image resolution and high performance in extreme conditions. The ergonomic design allows easy and quick eye switch. They can be used in conjunction with red dot collimators. Available image intensifier tubes: 2+ Gen, 3rd Gen, XD-4, XR-5 and XR-5 ONYX. DNVG operate in the conditions of natural night illumination (the illumination source is the natural emission of the night sky) and in the close infrared range of the spectrum in passive mode and with an IR illumination in active mode.The observation with the device is implemented when it is held with an arm in front of theeyes or when the goggles are mounted on a facemask or helmet interface mechanism. Technical Specification Spectral response visible to 0.90 m (IR) Magnification 1x Field of View 43deg Equivalent resolution of the equipment . 45 64 lp/mm Signal to noise ratio 16 24 Detection range 320 m 530 m Orientation range 270 m 440 m Recognition range 130 m 210 m Identification range 60 m 100 m Objectivefs equivalent focal length 23.8 mm Entrance pupil diameter 20 mm F-number 1.19 T-number 1.23 Distortion 8 % Focus range 0.2 m Exit pupil diameter 8 mm Exit pupil relief 20 mm Inter-pupil distance 54 76 mm Eyepiece diopter adjustment +4 -6 diopters Power supply 1 x 1.5 V AA (R6) alkaline battery or 1 x 1.2 V AA (R6) accumulator battery or 1 x 3.6 V AA (R6) lithium battery Operation time 40 hours (alkaline), 20 hours (accumulator), 65 hours (lithium) Weight 0.55 kg (w/o the battery) Overall dimensions (L x W x H) 144.7 176.5 70.5 mm (w/o eyecup) Operating temperature range -50 / +50DegC Storage temperature range -56 / +65DegC. NOTE: ONLY FOR GOVERNMENT ORDERS. 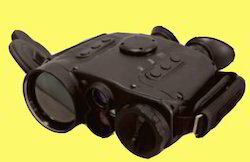 We Are The Leading Manufacturer And Suppliers of Digital Night Vision Goggles In South India Such As Thiruvallur, Chennai, Kancheepuram, Vellore, Thiruvannamalai, Krishnagiri, Dharamapuri, Villipuram, Cuddalore, Salem, Erode, Namakal, Perambalur, Nilgiris, Coimbatore, Tiruppur, Karur, Tiruchchirapalli, Ariyalur, Nagapattinam, Thanjavur, Thiruvarur, Nagapattinam, Pudukkotai, Dindigul, Theni, Madurai, Sivagangai, Ramanathapuram, Virudunagar, Tirunelveli, Thoothukudi, Kanniyakumari, Hosur, Rajapalayam, Puduchcheri, Kerala. 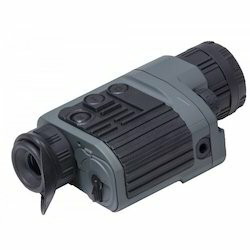 DNVB - 4X The Single Tube Night Vision Binocular DNVB 4X is universal device for night vision. It is designed for individual night observation with three times the optical magnification and fullfield of view wider than 14. With its help, low illuminated and low contrast objects (targets)can be found, recognized and identified. 1) Technical Specification Spectral response visible to 0.90 m (IR) Magnification 3x Field of View 14 Equivalent resolution of the equipment 45 64 lp/mm Signal to noise ratio 16 24 Detection range. 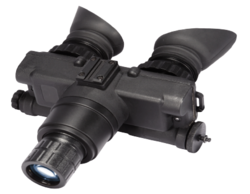 The Night Vision DVS-8 Is Observational Optic - Electronic Binoculars / Goggles , Intended For Examining Objects & Orientation At Night Time Or Dark Conditions. The Unit Utilizes A Generation 3 Intensifier Tube From Main European Manufacturers DELFT Electronic Products B.V. The Device Was Designed To Be Easy To Use, & Provide Many Years Of Operation. Applications: Some Of The Typical Activities Where DVS-8 Will Be Useful : 1. Military Operations 2. Search & Rescue Operations 3. Law Enforcement 4. Security & Patrolling Advantages Of DVS-8: 1. Waterproof Construction 2. 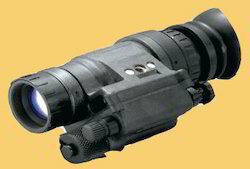 Built - In Infra Red Illuminator Allows Observations In Total Darkness. 3. Flip / Flop Mechanism Allows Easy Unobstructed Vision. 4. Independently Adjustable Eyepieces. 5. Ideal In Situations Requiring Hands - Free Operation. 6. Light Weight & Comfortable. 7. A Soft Rubberized Eyepiece Makes The Viewing More Comfortable. 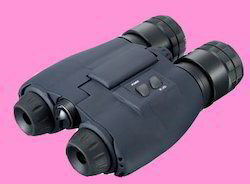 NOTE: ONLY FOR GOVERNMENT ORDERS We Are The Leading Manufacturer And Suppliers For Night Vision Binocular In South India Such As Thiruvallur, Chennai, Kancheepuram, Vellore, Thiruvannamalai, Krishnagiri, Dharamapuri, Villipuram, Cuddalore, Salem, Erode, Namakal, Perambalur, Nilgiris, Coimbatore, Tiruppur, Karur, Tiruchchirapalli, Ariyalur, Nagapattinam, Thanjavur, Thiruvarur, Nagapattinam, Pudukkotai, Dindigul, Theni, Madurai, Sivagangai, Ramanathapuram, Virudunagar, Tirunelveli, Thoothukudi, Kanniyakumari, Hosur, Rajapalayam, Puduchcheri, Kerala . Compact hand held thermal monocular, widely used in 24/7 surveillance, capture and evidence gathering with shock, vibration and drop resistant features. Ideal choice for observing applications such as day-night surveillance, law-enforcement and tracking etc. Main features: Fast Auto Focus, OLED Display, Photo & Video Record, IP67, Electronic Focus. Vehicle Recognition Range: 850 meter. Compact hand held thermal binocular, widely used in 24/7 surveillance, capture and evidence gathering with shock, vibration and drop resistant features. Ideal choice for observing applications such as day-night surveillance, law-enforcement and tracking etc.Main features: Fast Auto Focus, OLED Display, Photo & Video Record, IP67, Electronic Focus. We Are The Leading Manufacturer And Suppliers of Uncooled Thermal Binocular In South India Such As Thiruvallur, Chennai, Kancheepuram, Vellore, Thiruvannamalai, Krishnagiri, Dharamapuri, Villipuram, Cuddalore, Salem, Erode, Namakal, Perambalur, Nilgiris, Coimbatore, Tiruppur, Karur, Tiruchchirapalli, Ariyalur, Nagapattinam, Thanjavur, Thiruvarur, Nagapattinam, Pudukkotai, Dindigul, Theni, Madurai, Sivagangai, Ramanathapuram, Virudunagar, Tirunelveli, Thoothukudi, Kanniyakumari, Hosur, Rajapalayam, Puduchcheri, Kerala. Compact hand held thermal binocular, widely used in 24/7 surveillance, capture and evidence gathering with shock, vibration and drop resistant features. Ideal choice for observing applications such as day-night surveillance, law-enforcement and tracking etc.Main features: Fast Auto Focus, Monocular OLED Display, Photo & Video Record, IP67, Electronic Focus, GPS, Electrical Compass, LASER Range Finder. 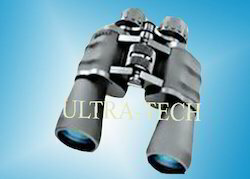 We Are The Leading Manufacturer And Suppliers of Uncooled Multifunction Thermal Binocular In South India Such As Thiruvallur, Chennai, Kancheepuram, Vellore, Thiruvannamalai, Krishnagiri, Dharamapuri, Villipuram, Cuddalore, Salem, Erode, Namakal, Perambalur, Nilgiris, Coimbatore, Tiruppur, Karur, Tiruchchirapalli, Ariyalur, Nagapattinam, Thanjavur, Thiruvarur, Nagapattinam, Pudukkotai, Dindigul, Theni, Madurai, Sivagangai, Ramanathapuram, Virudunagar, Tirunelveli, Thoothukudi, Kanniyakumari, Hosur, Rajapalayam, Puduchcheri, Kerala. 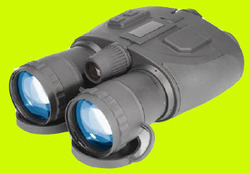 We are an eminent importer, supplier & service provider of Day and Night Vision Binoculars. To meet diverse requirements of our clients in the best possible manner, we are wholesaling, trading, distributing and supplying a comprehensive range of Night Vision Scope. Our given product is developed with top quality components & contemporary techniques in conformity with the set norms. This product has enhanced infrared sensitivity, double that of intensifier tube technology. Offered product can be fetch at affordable rates in a promised time frame.